The TV Stands are Ideal for Retail Settings with Lots of Customer Traffic. The Locks Come with Multiple Keys For Additional Access. 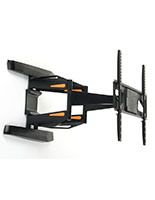 The TV Stands are VESA Compatible and will Hold a Number of Different Television Sizes. Steel display with dark finish is designed to be durable. Angles of tilt between -5° to 15° will provide the best views with this model. 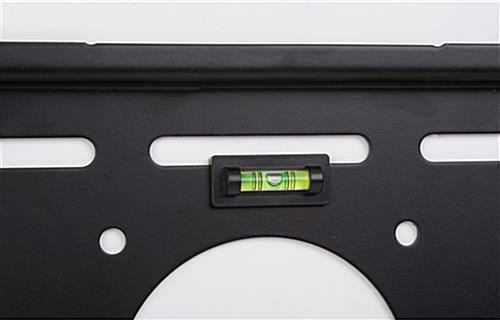 Bubble level is built-in to the structure to provide easy mounting. 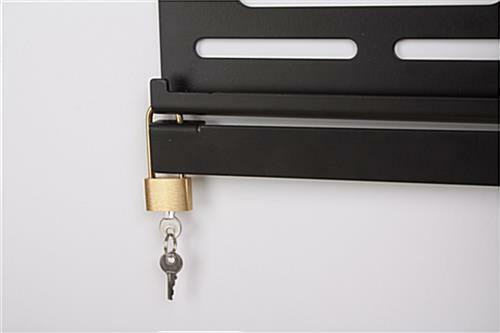 Two padlocks included with purchase provide extra theft protection. 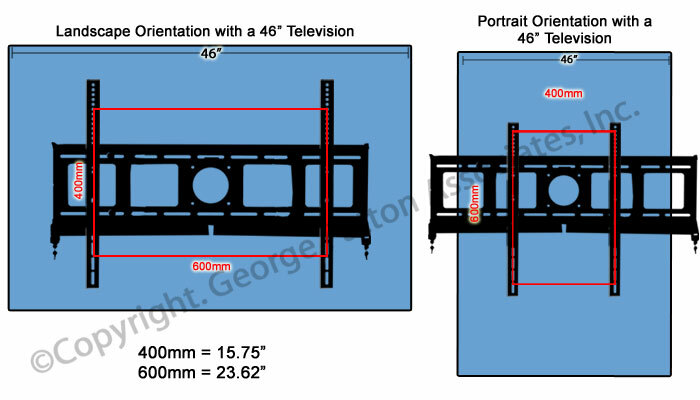 Can hold televisions that range from 42" to 70" wide and weigh less than 165 pounds. 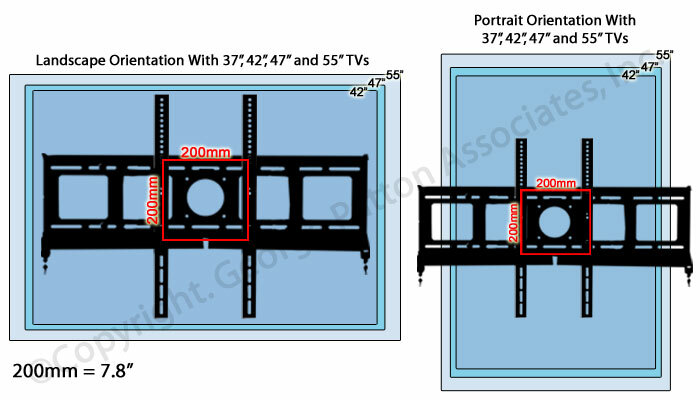 VESA compatible with pattern sizes ranging from 100mm by 100mm to 800mm by 600mm. 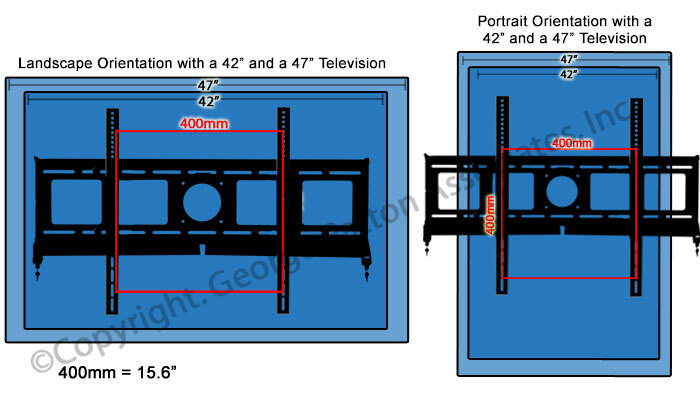 These TV stands that tilt are made to support large monitors that measure from 42" through 70" wide. 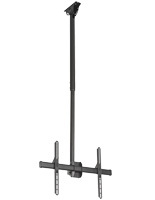 The plasma holders meet compatibility standards for VESA devices and have adjustable arms that fit many screens. 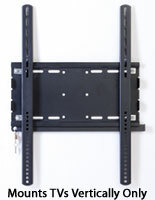 These TV stands that have brackets can move them back and forth, which is why they can hold so many sizes. The fixtures also have built-in levels to provide the perfect mount every time. 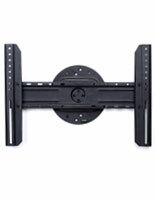 The TV stands, like a monitor bracket, are provided with the necessary mounting hardware for wall hanging. Specialty screws will need to be supplied by the customer. 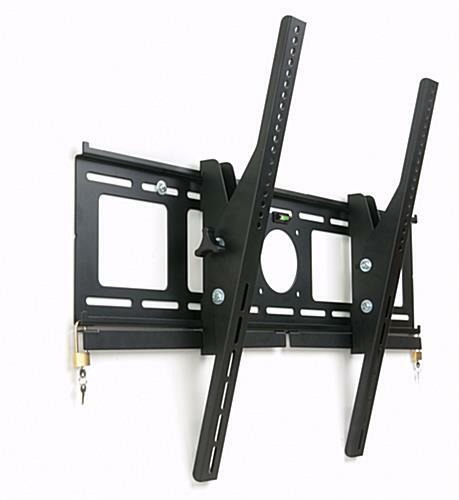 These LCD brackets, TV stands that are constructed from steel are perfect for retail use because they bolt directly to the mounting surface. 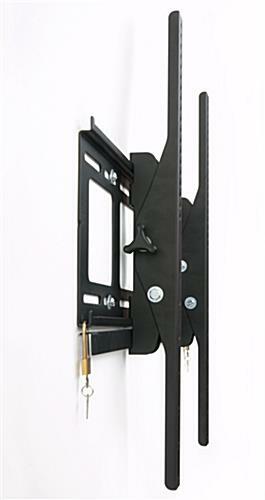 The durable mounts have dual padlocks to offer security in busy settings. 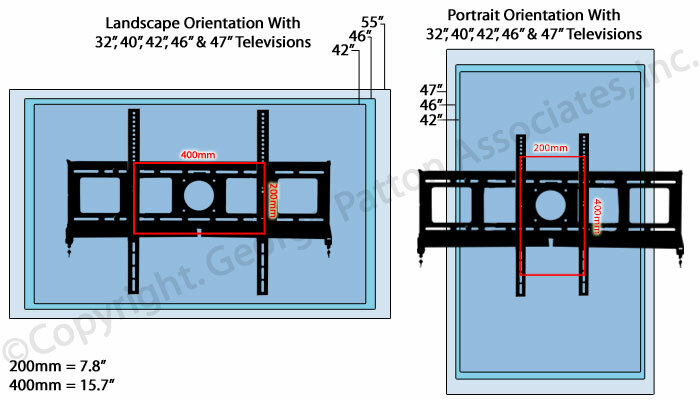 The TV stands come with two sets of keys to give owners more flexibility with who can have access to the flat panel device. There are also knobs that adjust the angle of tilt from -5° to 15° to ensure the best view for customers. 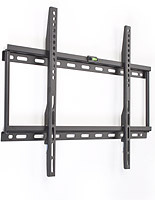 These TV stands are durable and will hold flat screens that weigh no more than 165 lbs. and can be placed in vertical or horizontal formatting. 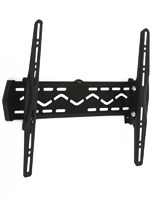 The brackets hang the panels at 3" from the wall for a low-profile mount.